This pack of thirty six 6 inch by 4 inch of Heatwave foil sheets in perfect to use with the Heatwave foil pen. 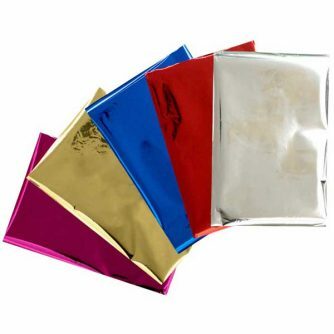 The colours in the multipack are: red, blue, pink, gold and silver. There is also a pink pack, and silver pack available. Use these foil sheets with the Heatwave Pen from We R Memory Keepers to add your own foiled handwriting or stenciled designs! Pick the colour you want to use on your handmade cards, scrapbooks, mixed media and other paper crafting.